Chucky is slashing his way to television, with Syfy landing the rights to develop a series based on the famously red-haired, freckle-faced possessed doll. 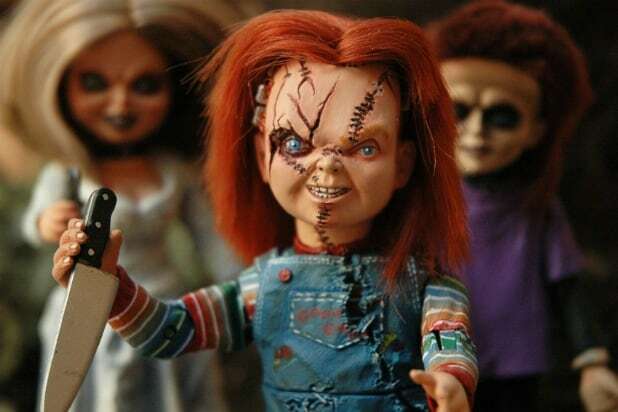 The series, named “Chucky,” will be executive produced by Don Mancini, who wrote all seven films (and directed three) in the “Child’s Play” franchise, and David Kirschner, who produced all of the films alongside Mancini. Nick Antosca is executive producing as well under his company Eat the Cat, with Universal Cable Productions set as the studio. Chucky, who is a children’s doll that becomes possessed by the soul of notorious serial killer Charles Lee Ray, first appeared in the 1988 film “Child’s Play,” which was directed by Tom Holland. The franchise spawned six sequels, the most recent being “Cult of Chucky” in 2017. A remake of the original 1988 film is hitting theaters this year, via MGM and Orion, that will be directed by Lars Klevberg and produced by Seth Grahame-Smith and David Katzenberg. The June release stars Gabriel Bateman, Aubrey Plaza and Brian Tyree Henry. The Danny McBride-produced “Cipher” follows a boy and his father in the middle of a war over artificial intelligence, while “(Future) Cult Classic” is a dark comedy which uniquely combines the genres of slasher films, high school drama and speculative satire.